When most people think of holidays, they think of annual celebrations, but in Judaism there is one holiday that occurs every week – the Sabbath. Known in Hebrew as Shabbat and in Yiddish as Shabbos, this holiday is central to Jewish life. 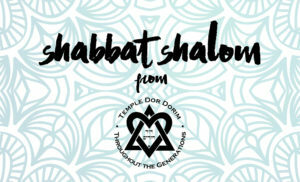 Please refer to our Temple Calendar for our Shabbat service times. Everyone is invited to a special Shabbat Evening Service on the First Friday of every month. Join us as we celebrate that month’s Birthdays & Anniversaries, as well! 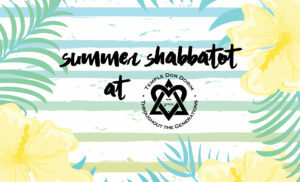 Celebrate a special Shabbat with Family & Friends on First Fridays at Temple Dor Dorim!! Dinner by Palm Caterers. Please RSVP. Note that your RSVP will be for the next available Shabbat. 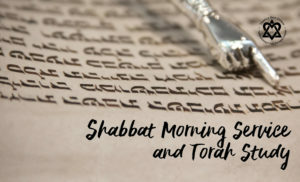 Please refer to our Temple Calendar for additional dates for our Shabbat Morning Service when we are celebrating a Bar Mitzvah or Bat Mitzvah. We hold a Shabbat Oneg at 6 PM and a Shabbat Service at 6:30 PM on Friday Evenings, June – August. 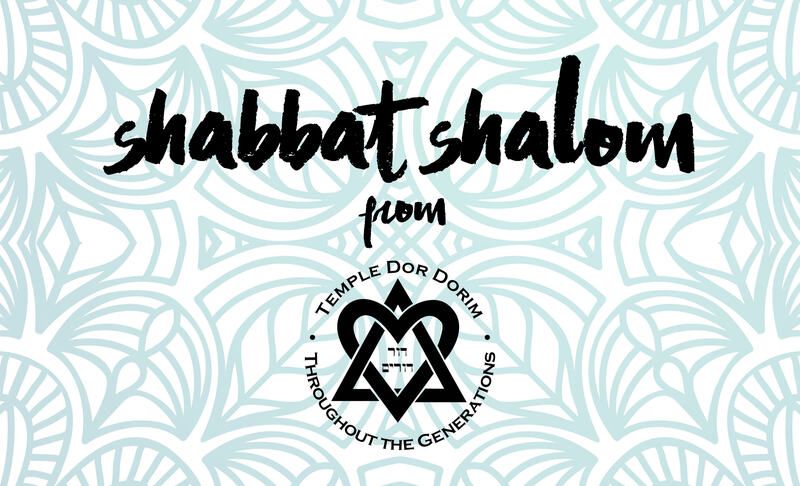 Please refer to our Temple Calendar for additional dates for our Shabbat Services. Want to Honor Someone? – Celebrating a Joyous Occasion? – Remembering a Loved One? Sponsor an Oneg Shabbat!